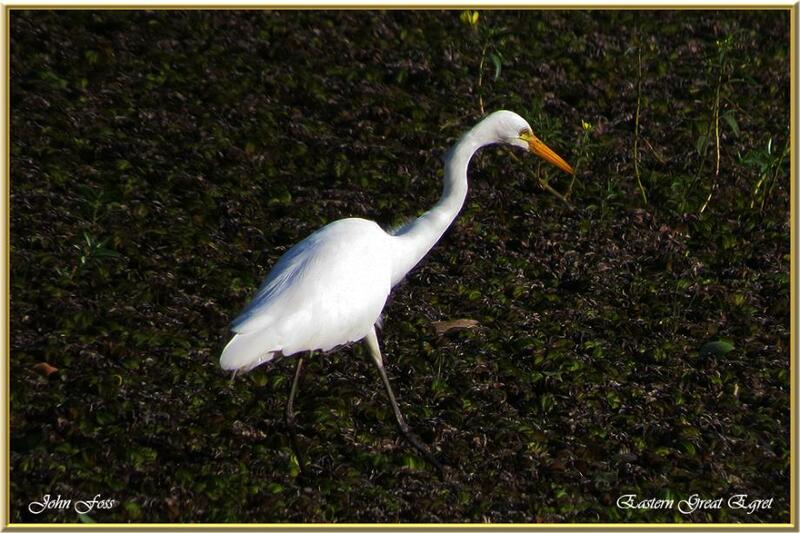 Eastern Great Egret - feed in shallow water, standing and waiting for fish, frogs, and insects. But fish make up the bulk of its diet, stabbing them with its long yellow bill. The plumage is white, and, for most of the year, when not breeding, the bill and facial skin are yellow. I photographed this bird at distance at Baldwin Swamp Bundaberg Australia.